Some would say that framing and matting of a photograph is as important if not more important than the photograph itself. Frames and mats came about in medieval times as a means to protect and carry the fragile paintings. Over the last few hundred years however, framing and matting has not only become an art form, it has blossomed into a whole industry. Personally I feel that a well matted and framed photo, can extend or accentuate the colors, mood or objective of the photo or even the photographer. I frame and double mat all my photos myself. Unlike show framing (which is usually white matting with a black frame), I personally enjoy coordinating the mat and frame colors to pull specific colors out of my photos. 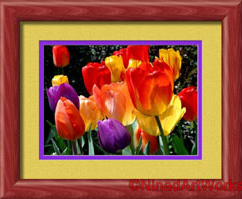 As many of you may know, matting and framing is tedious work and also fairly expensive. I buy most of my most commonly sized frames and mat boards wholesale and hope to pass some of that savings to you in appreciation for purchasing one or many of my photographs or paintings. All framed and matted photos come with signature, title and limited edition numbering. with 1/4 inch inner mat. I do have access to many other frames but the discount prices for these frames are not as good. 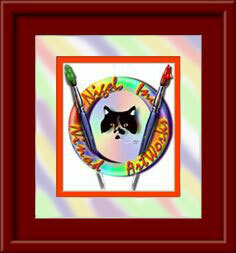 Please e-mail me if you would like to discuss specific framing , matting or pricing issues.